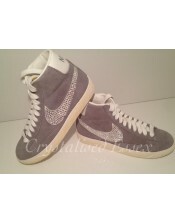 Choose from a wide range of Footwear to be Swarovski Crystalised. If you have a customer request please email us. We will be more than happy to customise a pair of shoes unique to you.